With multiple jackpot prizes that can be won with each spin and rewarding features like free spins, wild substitutions, stacked symbols and scatter payouts, Golden Peach is an online pokie that has plenty of treats lined up across the 5 Oriental-themed reels. It’s part of the popular Aristocrat range which is well known for reliability, fairness and high quality animations, although it’s one of the simpler games from this Aussie developer who have a number of multi-round pokies in their collection and will perhaps appeal to a wider audience because of the fact that this one is easier to learn. Like all Aristocrat games, Golden Peach looks amazing, with sharp graphics and vivid colours. In this pokie, the reels spin against a bright green backdrop that looks like intricately carved panelling, but whatever it is, it looks very nice, while a gold framing surrounds the main part of the game. Above it, players will see 4 progressive jackpot values, any of which can be won at any time. Prizes range from just a few Dollars for the Mini jackpot, rising through Minor and Major ones to the Grand jackpot that can be worth a fortune. Below it, there’s a set of control buttons used to determine how much to stake on each bet. There are no conventional paylines here, as winning combinations are formed by landing matching symbols in any positions on adjacent reels running from the left side, although scatter payouts can be in anywhere as long as 3 or more scatter symbols appear at once. The symbols that will be seen most often however, are the playing card icons that feature in so many pokies. Colourful images of the 9, 10, J, Q, K and A will need to land across at least 3 reels to be worth anything, but players will be rewarded with more when the lotus flowers, scrolls or Chinese lantern appear. Each of these is beautifully designed and is worth 50 credits for a line of the same symbol across the reels, with the peacock and girl symbols being worth even more. Only 2 examples of these need appear to be paid a prize, with full lines of the peacock paying 125 credits and the girl is worth 200. Although not as packed with extra features as many games from this developer, Golden Peach still has plenty going on, some of it coming from bonus symbols and some coming from side games and jackpots. The Golden Peach itself is a wild symbol, replacing all except the scatter if it can complete a winning line, but as it only appears on reels 3 and 4, the odds of that happening are somewhat lessened and it’s not worth anything on its own. 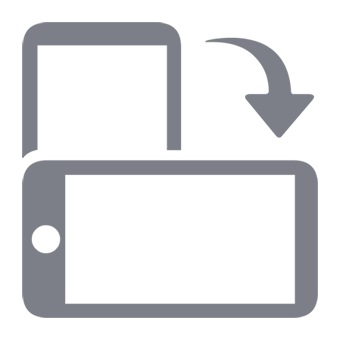 Of more interest is the scatter symbol which shows a traditional Japanese garden and pagoda. This can trigger the main bonus feature when landing in any 3, 4 or 5 spots at once, with 10, 15 or 25 free spins being awarded. The free games are more likely to result in extra payouts, as there are a couple of additional features throughout them, with reel 5 on the right side and any other randomly selected reel being filled with wild symbols. On top of this, reels 2, 3 and 4 will be stacked with another randomly picked set of symbols, which should guarantee lots of winning spins, plus any 3 or more scatters appearing again will add a further 5 free games to the end of any still left to play out. Although the jackpots can’t be won during the free spins, at any other time if players get a full line of a symbol across the reels, along with a little flame symbol, they win a progressive prize. Picture symbols will win the Grand jackpot, unless the wild has completed the line in which case the Minor is won, while playing card symbols win the Major jackpot and again, if the wild is part of the line that’s downgraded to the Mini. 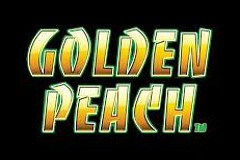 Golden Peach follows a popular theme and has a few bonuses that are sure to attract players to the colourful reels. Just about any pokie that has a Far Eastern style will be popular, but it’s nice when the design is backed up with reliability and decent payouts. The extra features may seem a little sparse compared to many other games from the same developer but Aristocrat can occasionally go over the top on bonus rounds and make their pokies a little too complex, so Golden Peach strikes a sensible balance between basic gameplay and solid, if unspectacular extras.